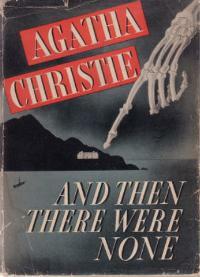 AC & the Post Secondary Tariff: “And Then There Were None”? - or - “It Ain’t Over Till It’s Over”? Both of the leading institutional organizations representing the administrations of Canadian universities and colleges respectively have now withdrawn from the Copyright Board Post-Secondary Tariff proceedings launched by Access Copyright (“AC”) in 2010. The Association of Canadian Community Colleges on October 25, 2013 announced that it has “chosen to withdraw its objections” to the proposed post-secondary tariff and will not be participating in the forthcoming hearing in February, 2014. It will be recalled that the AUCC abruptly withdrew its objections and withdrew from the Copyright Board hearing in April of 2012, leaving its member universities unrepresented and after having spent about $1.7 million on the hearing. Here is ACCC’s formal withdrawal letter. A number of factors influenced this decision, including revised copyright legislation in 2012 that provides new rights for educational uses of copyright-protected works without permission or paying royalties and a decision by the Supreme Court of Canada interpreting fair dealing in an education context. Institutions have enhanced risk-management copying controls and practices and are increasingly relying on licences and database subscriptions to meet copying needs. The Association’s Board approved withdrawal from the Copyright Board’s proceedings after extensive consultations with members. A majority of ACCC members are not using, and do not intend to use, a Copyright Board tariff to meet their copying requirements. ACCC members currently using the Interim Tariff or the Model Licence intend to review these arrangements at the earliest opportunity. The Board therefore concluded that it made greater sense to focus resources on supporting its members than on financing a Copyright Board hearing in 2014. Of course, this is all well and good as long as the Board does not proceed to approve a “mandatory” tariff, i.e. a tariff that kicks in for the full amount per FTE and even retroactively as soon as there is infringement by the making of just one copy of just one work in Access Copyright’s repertoire – and despite all the efforts of an institution to ensure that it complies with the Copyright Act, and the money that it has spent on securing permissions from other sources, when those are necessary. That result may seem absurd – and it is. How could Canadian law impose a “penalty” of millions of dollars (in the case of a large university) for making one infringing copy of, for example, one article from one newspaper? However, this is precisely AC’s operating theory and, so far, the Copyright Board has gone to some length to explicitly endorse it. This is also the theory and the entire basis of AC’s lawsuit against York University. Interestingly, however, York has challenged this theory only with respect to the “interim tariff” and, apparently, essentially only because it is “interim”. So, even if York prevails on this narrow ground – which would be several years down the line the way things seem to be going – the result could still leave open the question of whether a final approved tariff can be mandatory. Moreover, there is a significant risk, at least on the basis of the current pleadings, that the York litigation could result in a confirmation by the Federal Court that a Copyright Board tariff could effectively be mandatory in the “one copy of one work” sense. That would be a disaster for Canadian educators, whose gains over the last decade of litigation and legislation would be effectively erased. Any sensible interpretation of the Copyright Act would allow institutions to make an informed choice about whether or when they should obtain a license from AC on the hypothetically possible basis that what AC offers is a cost-effective way to comply with the law, compared to other alternatives. That said, if there is a bona fide copyright policy in place and even if there are minor slip ups now and then, the Supreme Court of Canada has clearly indicated that the institution is not automatically responsible for those incidents, and Parliament has further clearly intended that such minor infringement by non-commercial entities would be subject AT MOST to a $5,000 global limit on statutory minimum damages for ALL previous infringing activity. If the idea that making one copy of one work that turns out to be infringing can result in a confiscatory grab in the nature of a “forfeiture” of millions of dollars sounds contrary to the entire scheme of the Copyright Act and completely alien to our judicial system, it’s because it is. I’m unaware of any educational institutions that are scofflaws that authorize systematic infringement. In fact, most of them usually err on the side of caution and often excessively so in their policies, practices and attitude. However, AC apparently believes that all the institutions that opted out of their model license and the “interim tariff” are such scofflaws, copying works for which they had not obtained permission and beyond what AC’s stubbornly narrow and “in denial” view of what the “users’ right” of fair dealing actually permits. The doors of Canadian courts are open for AC members to sue those institutions for infringement and prove their case. Instead, AC believes it has a much easier way, namely to ask the Board to approve a tariff, without any serious objection as it turns out, and on the basis of much more relaxed standards, especially with respect to evidence, than those required in the courts, and then hope that it will be able to enforce the resulting tariff on educational institutions through the Courts. That is also what the York University test case is all about. Access Copyright is, frankly, aggressive and over-reaching and now fighting an openly declared war for the survival of its basic business model and much, if not most, of its revenue stream after two unequivocal and decisive defeats in the Supreme Court of Canada in the span of only eight years, not to mention the rejection by Parliament of virtually all of its important lobbying efforts in the recent Copyright Modernization Act. One would think that, in light of these defeats, AC would finally “get it” and move on to serve its remaining clients in more innovative and constructive ways, instead of hopelessly trying to undo the Supreme Court’s rulings and suing one of its biggest and best past, and potentially future, “customers” (York) in a test case that could adversely affect the entire Canadian educational establishment. One would think that that would be a futile strategy, but so far, AC seems to be doing rather well. The two main objectors at the Copyright Board have given up and York University has filed arguably underwhelming pleadings that do not appear to adequately confront what is probably the overwhelming main issue for Canadian universities: i.e. whether the inevitable final approved tariff can be “mandatory”. If either the AUCC or ACCC intend to challenge the mandatory tariff theory, it’s not apparent that this is the case. Neither of them even tried to challenge the interim tariff at the Board, which would have had a very good chance of success, had it been done in a timely manner. If it had succeeded, we would not be seeing the York University litigation in its present form. In all likelihood, we wouldn’t have seen any litigation at all because the new legislation restricts recovery of statutory minimum damages to $5,000 from non-commercial entities for ALL infringement prior to the launching of any litigation. As it happens, York University is being represented in the current AC litigation by the same law firm that has represented AUCC at the Copyright Board in the current hearing. It will be very interesting to see how the Board will handle this. CIPPIC remains on the record, pro bono, for CAUT and CFS, along with Prof. Ariel Katz who is representing himself as a concerned professor affected by these matters. However, neither CIPPIC nor Prof. Katz (although they are both very capable) can begin to do the job that AUCC and ACCC might have done, with their seven figure budgets and enormous cache of interrogatory evidence. As matters now stand, even though the cost of collecting all these documents and data has been incurred by the educational institutions, if this evidence ever sees the light of day, it will only be as presented by AC though AC’s lens in its Copyright Board case. There are a couple of other parties still on the record, but they seem to have been essentially invisible and are not represented by counsel. This leaves the Copyright Board with a major problem. This is possibly the most important and potentially controversial “public interest” case it has ever dealt with. It will affect the entire Canadian educational system for a long time to come, at a time when taxpayers and governments at all levels are concerned with innovation, competitiveness and efficiency. However, this hearing seems poised to be on the brink of systemic failure when it comes to the public interest, if it continues with the AC leviathan being effectively unopposed. The Board must inevitably follow what Parliament and the Supreme Court of Canada have laid down as the law. AC will argue that the AUCC and ACCC policies contravene that law. AC will adduce a lot of evidence, which it has presumably spent millions developing. But the university and college administrations have withdrawn and have achieved nothing by way of any apparent concession in so doing, other than model licenses negotiated before the new legislation was passed and the Supreme Court ruled. Moreover, in light of the new legislation and the Supreme Court’s rulings, these model licenses are apparently seriously over-priced and contain clearly inappropriate terms and conditions. For example, in the case of universities, the $26 figure is about 50% more than the average FTE amount that was being paid pre-pentalogy 2012 and pre Bill C-11. Indeed, the previous figure was far too high even by pre-pentalogy and Bill C-11 standards, because it had been agreed on even before the CCH decision in 2004 and not reduced afterwards when the opportunity arose in 2007. At the forthcoming Board hearing, AC will argue that these rates, terms and conditions are the applicable proxy because they were agreed to by sophisticated organizations with experienced counsel. AC will also attack the AUCC and ACCC fair dealing policies, which are very similar to each other, and argue why a mandatory tariff is essential in the face of these policies. Although these policies are not as nuanced and sophisticated as those of U of T or UBC, they are defensible. However, their sponsors will not be there to defend them either with the law or with evidence – or to challenge the evidence that AC will most certainly and most vigorously lead. Ironically, much of AC’s evidence will derive from interrogatory responses furnished by the universities and colleges themselves before they withdrew, after having spent millions on legal and related costs. The Board has a crucial role to play in looking out for the public interest and for economic efficiency in the course of the oversight of collectives. It no secret that the Board is under scrutiny now from many sources in terms of its protracted and expensive proceedings, its unusually long delays in rendering decisions, its inevitably retroactive tariffs, and other issues that are causing considerable concern, as outlined by Michael Geist a few months ago and as the Wire Report has just now reported. The Supreme Court of Canada has now clearly focussed on the issue of economic efficiency in respect of the Board’s decisions and has also clearly indicated that, if the Board misapplies the law as spelled out by the Court, even if it is engaged in fact finding, the result will be viewed as “unreasonable” and thus, reversed. How is the Board to deal with AC’s evidence (much of it, ironically enough, supplied by AUCC and ACCC) and arguments if there is little or no evidence or argument on the other side? Can it avoid accepting the main elements of AC’s case if the main objectors, who have the resources to challenge AC, have chosen not to withdraw their objections and not be there? Will this be, in effect, a “default” decision? Will it let the public interest now depend on the capable but under-resourced efforts of a law school clinic and law professor, both acting pro bono? The credibility of the Copyright Board depends primarily on the effective operation of the adversarial process, in which all the important interests are presented by parties with competent counsel who have adequate resources to do a good job and no inappropriate conflicts of interest. When the Copyright Board system has worked well in the past, it was virtually invariably when certain objectors with large resources, ranging from broadcasters to ISPs to tech companies to retailers, have stepped up to the plate, if only because their own business or institutional interests happened to align with the public interest. That process is not happening in this instance, for whatever reasons. In this case, the two main objectors not only have spent millions on legal fees and related expenses, and not only have spent endless hours in answering AC’s interrogatories, and not only have furnished massive amounts of interrogatory evidence that will now be used to the benefit of AC. They have also withdrawn their objections, apparently without getting anything in return. One might have thought that the obvious quid pro quo for withdrawal of objections would be the withdrawal of the tariff application, or, at the very least, withdrawal of any claim that the tariff could be “mandatory”. But that didn’t happen. We don’t know if there was even any attempt made to secure such a result. Even informed observers can be forgiven for being baffled. Unless they have a surprise “Plan B” in store, Canadian universities and colleges apparently are unwilling to do anything other than wait and watch what will happen at the Copyright Board. The really interesting question is what the Board is going to do with the “hot potato” that has been left in its hands. If the “system” that is in place now fails to deliver a fair, efficient and correct result based upon a sound jurisdictional foundation and the result ends up harming the cause of education and innovation in Canada, the fallout may affect not only the educational system. Such an outcome may raise fundamental questions about the overall current system of collective administration of copyright in Canada, including the mechanism of oversight by the Copyright Board. So – is it all over except for the sound of the dull thud of a rubber stamp? Not necessarily. There are still some options open to the Copyright Board and interested parties. Since it’s World Series time, let’s recall what that great copyright scholar, Yogi Berra, once brilliantly said: “It ain’t over till it’s over.” Therefore, in the spirit of sports, my bet would be to stay tuned. September 30, 2013 was the deadline for the Canadian Private Copyright Collective (“CPCC”) to file a Notice of Application for judicial review (in layperson’s terms, an “appeal”) of the Copyright Board’s decision of August 30, 2013 not to proceed with a hearing process that could have resulted in a retroactive levy for the first 10 months or so of 2012 on microSDs. That deadline came and went, with nothing from the CPCC. This effectively means that that, absent some extremely unlikely legislation, the CPCC’s only source of revenues henceforth will be from the sale of blank CDs, which are falling off very quickly. Indeed, the last publicly reported revenue figures for CPCC are for 2012, and were less than $10 million, presumably virtually all of which was from the sale of blank CDs, and falling fast. Blank CDs are a legacy medium that will soon be an obsolete and virtually unavailable medium. One of the ironies of the private copying scheme is that these CD products now often cost much more than blank DVDs, which hold about 7 times more data – but which are not encumbered with a $0.29 a piece levy. And hardly anyone uses blank CDs anymore because they only make any sense if one has a very old computer that doesn’t even have a DVD burner. Moreover, storage in the cloud, on internal or external hard drives, thumb drives, SD or microSD cards, or on smart phones is either free or incredibly cheap and vastly more convenient for almost all purposes than the awkward and clunky CD format. Also and by interesting coincidence, David Basskin retired as President and CEO of the Canadian Musical Reproduction Rights Agency Ltd. (CMRRA) on the same date, September 30, 2013. Mr. Basskin had been a key driving force and spokesperson for the levy scheme from its very beginning. It will be interesting to see what happens now to the CPCC, as its revenues rapidly evaporate with no new source in sight. The private copying levy scheme was established by its own special sui generis scheme set out in a completely self-standing and easily severable part of the Copyright Act. But technology and economics have made that scheme obsolete and rendered it all but extinct. Moreover, the scheme became highly problematic and divisive even within the music industry when it was realized – and confirmed by the Copyright Board and the Courts – that it rendered private copying based upon downloading, even from “illegal” sources on the internet, perfectly legal as long as it was done onto an “audio recording medium” and regardless of whether a levy had been sought for such medium. Both the Court and the Government have made it clear that the scheme cannot be extended by the Board to cover unintended products, such as iPods, smartphones, etc. that don’t qualify as an “audio recording medium”. Other collectives also now face an uncertain future as users begin to realize that, in light of recent technological change, legislation and Supreme Court of Canada jurisprudence, it is no longer necessary to obtain licenses that are based on non-existent rights or rights that are greatly over-priced and which can be cleared more efficiently in other ways than through a blanket license – whether or not that license is in the form of a certified tariff. We will no doubt hear much more on this subject in the weeks and months to come. I should disclose that I have been involved as counsel acting for various opponents of the CPCC since approximately 1999. Speech From the Throne 2013 – Will We Really Get Price Parity on Consumer Goods with the USA? IP Law is a Key Issue. Yesterday’s Speech from the Throne (#SFT13) contained two items that will require detailed consideration of amendments or clarifications of existing Canadian intellectual property law and amendments or clarifications to the anti-counterfeiting Bill C-56 from the previous session – or whatever it is numbered if and when it is resuscitated. · “Our Government will ...Take further action to end geographic price discrimination against Canadians." Achieving these goals requires dealing with some extremely complex issues that have bedevilled courts and legislatures for decades. The elephant in the room is the issue of “parallel imports” or “grey market” goods – namely perfectly legitimate and authentic products that have been legally made and put on the market outside of Canada and which can be imported into Canada at a cheaper price than that demanded by the so-called “exclusive” distributor. These good are by no means whatsoever “counterfeit” or “pirate” in any sense. Despite the complexity of the “parallel imports” issue in terms of copyright law, some propositions are very simple. Truly “free” trade cannot permit the imposition of “private tariffs” in the form of IP laws that permit geographic price discrimination or market segmentation. That would allow copyright law to become an unintended “instrument of trade control”, in the words of retired Justice Fish of the Supreme Court of Canada, and a very effective and unregulated “private tariff”. Canada has explicit provisions in its Copyright Act regime that permit and encourage just such a regime for books. The situation for goods other than books is more complicated. In 2007, the Supreme Court of Canada in the Kraft decision allowed a victory for the importer of “parallel import” or “grey market” Toblerone chocolate bars, largely based upon arguments that I made on behalf of the Retail Council of Canada. For a number of reasons, including the complexity of the decision and the issue itself, that victory has not been fully understood, even by some those importers who might benefit from it. Here’s an analysis I did for the Law Society of Upper Canada in 2008 that’s still useful. The sui generis book regime in the Copyright Act works well to keep out commercial scale importation of parallel imports and my much missed “remainder” fine art books, but is ineffective to stop personal importation by travellers and by Canadians who cross-border shop from the comfort of their own home or with their smart phone via electronic commerce in very large quantities. Trade-marks law is ineffective to stop parallel imports. In theory, copyright on elements of packaging and labelling can be used to exclude parallel imports if the copyright is assigned to a Canadian entity that is different than the foreign entity that made the packaging. Defence and Counterclaim allegations in any vigorously fought litigation relating to sham transactions, copyright misuse, abuse, and/or various Competition Act issues. (I have raised such allegations in a test case proceeding which then fizzled and never went forward). Thus, copyright law – other than in respect of books – is essentially a toothless tiger when it comes to excluding legitimate parallel imports. But a lot of supposedly well-informed importers don’t get that, for the reasons stated above and for other reasons, which I won’t go into here. Therefore, clarification of the law would be useful and maybe even essential. Even experienced IP lawyers have been baffled by it for decades. It is little wonder, then, that many of their clients and even the general counsel of their clients often don’t understand it. Maybe Parliament needs to make it sufficiently clear in simple terms so that even a copyright lawyer can understand it. I look forward to helping to find the appropriate language. In the case of books, unless we want to keep an arguably anachronistic, anomalous and clearly protectionist regime that guarantees higher prices to Canadian consumers and higher profits to Canadian “exclusive distributors” but little else in terms of benefits to Canada, it is essential that the Copyright Act be amended. Otherwise, we are certain to continue have higher book prices overall in Canada than the USA, unless the current market forces of Amazon and others put Canadian exclusive distributors and some publishers out of business, which would not be a desirable result. As for the rest of Canadian copyright law, clarifying language seems necessary for the reasons stated above. The anti-counterfeiting Bill C-56 – which may or may not get revived in the new session – has countless confusing references that deal with parallel imports. While the intention seems benign, the result may not be. Much more scrutiny and simplification may be required to ensure consistency with the Speech from the Throne statements. In any event, these Speech from the Throne items cannot be achieved without considerable attention to IP details. No doubt, the lawyers and lobbyists who would like to preserve the “private tariff” of IP to prevent real free trade and to geographically segment the Canadian market for price discrimination purposes are already hard at work to thwart the Government’s intention and to recover from their failed attempt in the Kraft case to hijack copyright law for this purpose. And last but not least, let’s hope that the #CETA and #TPP agendas don’t derail the perfectly laudable sentiments in #SFT13. In that connection, beware of the predictable efforts from the US Government and lobbyists representing American interests who will take their frequent posture of “do as we say, not as we do”. The US Supreme Court recently clarified in the Kirtsaeng decision that copyright law cannot be used to stop the parallel importation of goods – indeed the case was about books – largely based upon a “parade of horribles” that would result had it ruled otherwise. As I occasionally explicitly reiterate, the views expressed on this blog are solely my own. Here is Access Copyright’s Reply and Defence to York’s Counterclaim. All I will say at this point publicly, now that the pleadings are complete, is more or less what I said in a recent interview for the Law Times (September 23, 2013 – not available online). York apparently has no intention of attacking AC’s pleadings and has, instead, “pleaded over” to a number of issues that might have called for a motion to strike. York is apparently going to allow this lawsuit to morph into a de facto infringement action, even though AC has no legal status to bring an infringement action. York appears to have effectively conceded that the inevitable final tariff, when certified by the Copyright Board, will be “mandatory”. Its main defence in this litigation seems focussed on the notion that the tariff is merely “interim”. It does not confront the “elephant in the room” question as to whether any final tariff for reproduction of literary works – and a fortiori (even more so) an interim tariff – can be “mandatory” in the “one copy of one work” sense espoused by AC and endorsed by the Copyright Board. York appears to be willing to let its fair dealing guidelines, which are arguably irrelevant to the “mandatory” tariff issue, be put on trial. If this happens, there is a danger that AC will ask for “findings of fact” that could, as such, be bullet-proof on appeal. This lawsuit may go on for years, not counting possible appeals. Even if York wins the battle on the relatively narrow point of an “interim” tariff not being mandatory, the Canadian educational community’s war will be lost if the Copyright Board imposes a final “mandatory” tariff to which there has been no effective opposition. It should be recalled that AUCC abruptly withdrew its objections and withdrew from that hearing in April of 2012, leaving its member universities unrepresented and after having spent about $1.7 million. While some institutions may be willing to leave their fate in York’s hands and support York’s strategy, other Canadian educational institutions ranging from K-12 to elite research universities may be very concerned about the way this litigation is unfolding and how they could be adversely affected by its potentially negative outcome. They will also want to consider whether they wish to operate under a Sword of Damocles while York proceeds in the manner it has apparently chosen. Thus, they will be considering their options.